Cort Vintage style Dreadnought acoustic guitar featuring Solid Spruce Top, Mahogany Back & Sides in Open Pore Natural Finish. The Earth70 OP is Cort's homage to the great vintage acoustic guitars and has the look, sound, feel & playability of those fine instruments. 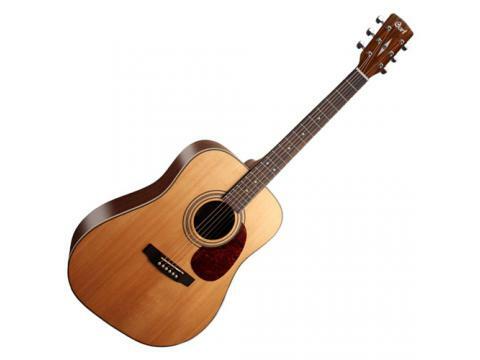 It features Solid Spruce Top, Mahogany Back & Sides, Corts exclusive scooped bridge and Open Pore Natural finish.